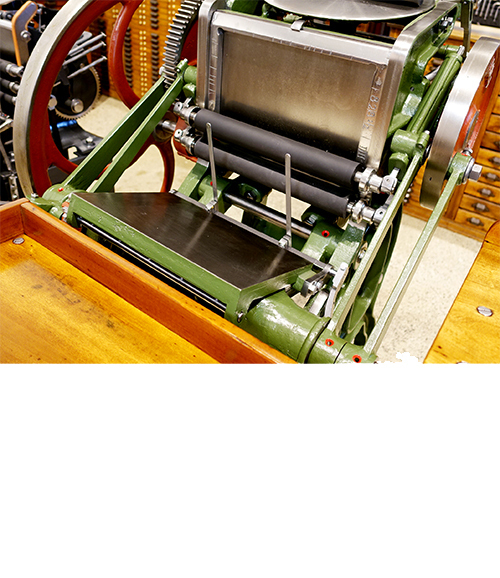 Ferd. 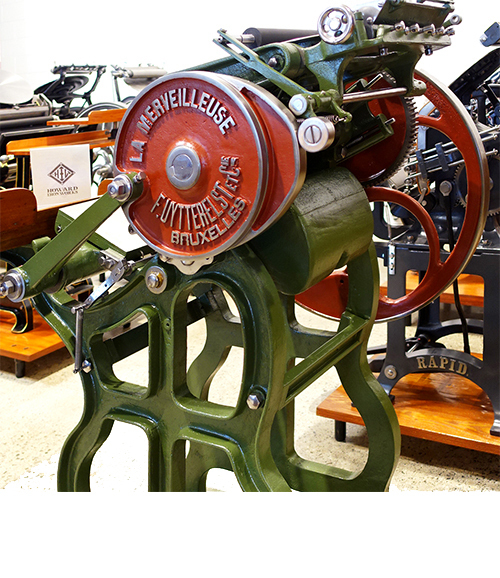 Uytterelst & Cie. was based in Brussels, Belgium, and was a manufacturer of many types of printing and bookbinding equipment. 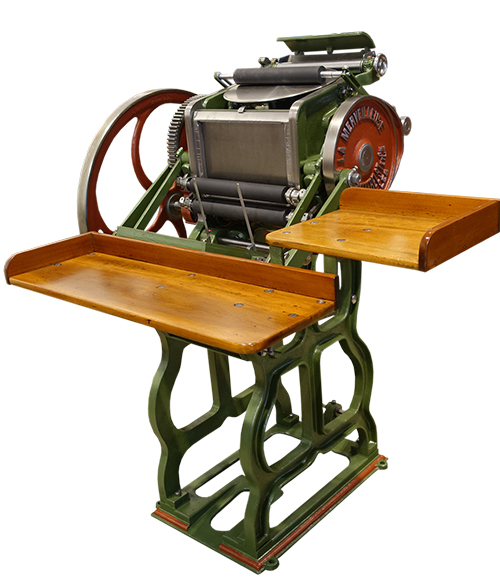 Guillotines, cylinder presses, iron and also platen presses were designed and manufactured. 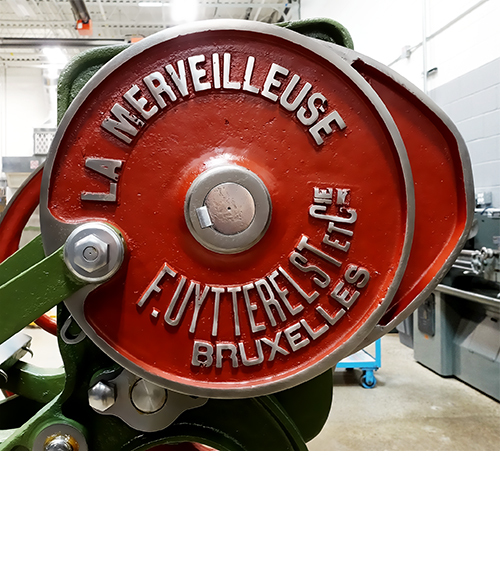 Our La Merveilleuse platen press, made by Ferd. 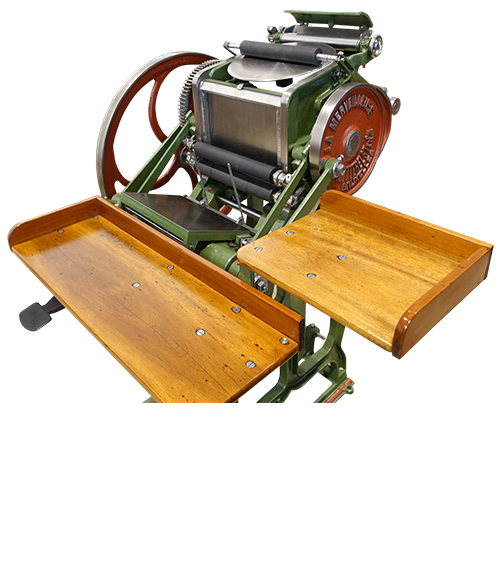 Uytterelst, employs the Boston Principle, where the bed remains stationery in vertical position and the platen moves in an arc to facilitate feeding, impression, and delivery of paper.